Kazuto Ioka and Donnie Nietes are two of the most accomplished boxers of this past generation in the smaller weight classes. Both have won titles in multiple divisions and plans are being finalized for them to meet in late December for the vacant WBO junior bantamweight belt. According to Tom Loeffler, the head of 360 Promotions (who cut a deal earlier this year with Taku Nagashim and TLAROCK management to promote Ioka) told ESPN.com on Friday the deal is almost done. During the WBO convention, which took place in Panama earlier this week, this matchup was mandated by the organization. Currently, Nietes is rated number one by the WBO, while Ioka is third. Back on September 8 at the Forum in Inglewood, California, Nietes fought for this vacant title and had to settle for an unpopular draw against Aston Palicte. On that same card, Ioka, returned to the ring after a 16-month hiatus to decisively defeat McWilliams Arroyo over ten rounds. Ioka, 23-1, 13 KO, has won world titles at strawweight, junior flyweight and flyweight, while Nietes, 41-1-5, 23 KOs, has captured belts in the same weight divisions throughout his storied career. 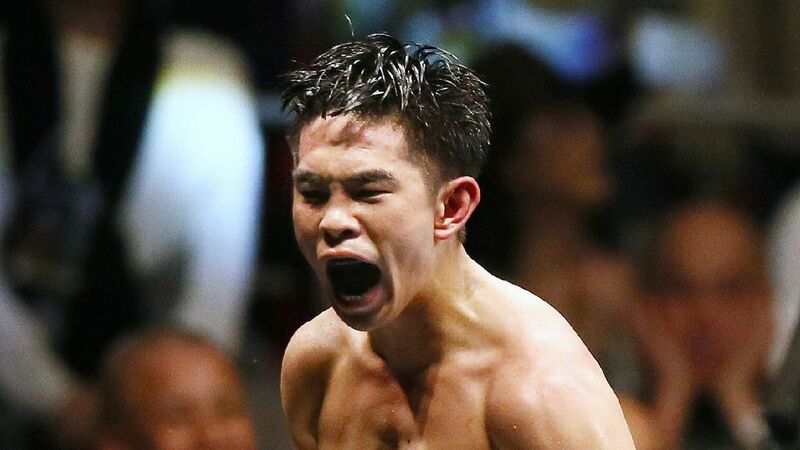 Currently, Ioka is rated sixth in the ESPN.com junior bantamweight rankings, with Nietes ranked eighth.